For several hours Tuesday night, Josiah Pinner’s mom and dad held signs, feet from where their son died to plead for donations. The family said they’ve raised some money to bury Josiah but were still short nearly $4,000. Hillsborough County investigators were back out at the scene of the crash Tuesday night. The sheriff’s office said they planned to close the northbound and southbound lanes of Florida Avenue between E 127th Avenue and E 122nd Avenue for several hours. Josiah’s family members told ABC Action News reporter Michael Paluska they just happened to be there around the same time to collect donations and questioned why investigators were back at the scene. Rojas says law enforcement has given the family little information about what happened. The sheriff’s office said the deputy in the undercover cruiser had a green light and hit Josiah north of the crosswalk. Rojas said the sheriff’s office should pay for her son’s funeral. Our community has always come together to help each other in the toughest of times. The loss of a child in an accident has to rank as one of the toughest. Our hearts and most sincere prayers go out to this family in their greatest time of need. 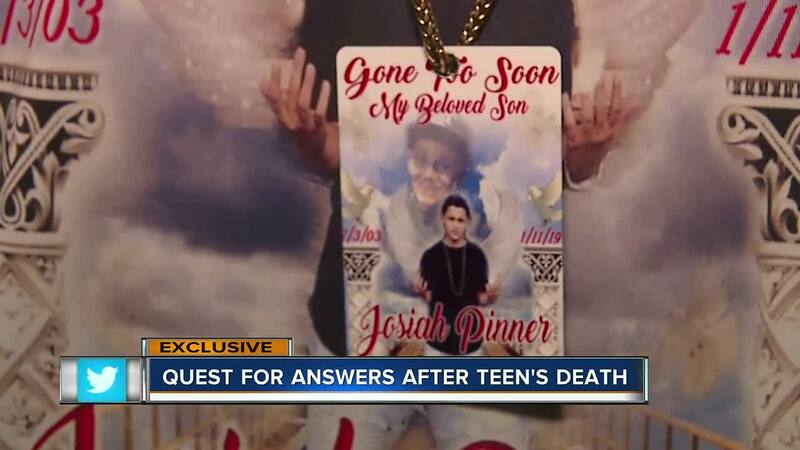 Will you please consider donating to the Josiah Pinner Go Fund Me account to help them raise funds for his funeral and related expenses? The link is below. Please like and share to help us spread the word. There will be a walk for Josiah on Thursday at 6:30 p.m. The family will meet near the location where Josiah got hit and killed. The group will march to a nearby Hillsborough County Sheriff's Office substation located about two miles away. If you would like to help the family click here.